It’s no secret that digital marketing can skyrocket your company’s growth. But, actionably speaking it can be extremely hard to know what type of digital marketing will be the most successful for your business. It turns out, according to Hubspot’s 2017 Digital marketing survey 63% of business owners think that generating traffic and leads are their companies top marketing challenges. But the question remains: which digital marketing type is the right one for your business? In this post, I’m going to show you 3 of the most effective digital marketing types and exactly how to choose the right one for your business. Search Engine Optimizers, also known as SEOs have been trying to manipulate google’s algorithm for more than 20 years. Every day, Google gets smarter trying to adapt to the large amount of data there is out there on the internet. In fact, Google’s search algorithm changes 500-600 times a year. What exactly is Search Engine Optimization? And is SEO the right digital marketing strategy for your business? SEO can easily be defined as the process of getting traffic from the “free,” “organic,” “editorial” or “natural” search results on search engines. No one except for Google’s SEO super cop, Matt Cutts, understands exactly how Google’s search engine functions. But, over the years SEO’s have developed a pretty good knowledge of the methods to use and NOT to use to maximize a site’s chance of ranking well. Many authoritative sources such as Forbes say that SEO results won’t show up until 6 months to as far as 12 months. This is definitely true and can be the case with newly registered domains. But… it’s also possible to speed these results up to something more like 3 months. Digital marketers like Ryan Stewart can decrease the amount of time it takes for SEO results to appear by combining two other digital marketing tactics together with their SEO campaigns. Both of these tactics I will be talking about later in this post, but it’s important to know that with the right budget and the right agency your SEO results don’t have to be miles away on the horizon. The bottom line is when you create content that has unique value to it you can use social media to shortcut google’s algorithm into speeding up SEO results. The amount of time SEO takes and the actual SEO results themselves both correlate with how much you’re willing to spend on an SEO campaign. I like to make a car analogy when it comes to the cost of SEO. When your car shopping you can either get the Ferrari or the Toyota (not that there’s anything wrong with Toyotas). Both cars will get you to your destination, but the Ferrari will do it a lot faster and the overall driving outcome will significantly be better. The team at Digiswell likes to think of ourselves as the Ferrari. Typical quality SEO agencies charge on a monthly retainer model, anywhere from $1,000 to $30,000 a month. More or less whatever the size of your business or the industry you’re in your in you should be utilizing the benefits of SEO to increase sales and develop an online presence. Even if you’re a small business with a small budget you can still benefit from SEO. Just always think back to my car analogy in terms of the results you will get for the money you spend. Regardless of your budget, SEO should be the foundation of your company’s digital marketing strategy. What to look for when hiring an SEO agency? You should carefully look at the SEO campaign deliverables in the contract agreement. If you’re serious about hiring the best SEO agency for your company I would shop around with at least 10 separate SEO agencies to see what the best price is for the most campaign deliverables. 2. You should check for the agencies case studies and or any type of social proof to prove the agency has successfully conducted SEO campaigns in the past. 3. You should see how much of a thought leader your potential agency is in the digital marketing space. Do they have a large social and or blog following? Have they proved to be knowledgeable of their services by having actionable blog posts including digital marketing insights? When it comes to the actual SEO agency interview process it’s important to ask the right questions to make sure they’re the right fit for you. Here’s a helpful article including the best questions to ask an SEO agency. Content marketing is paramount to any digital marketing strategy. A great marketing campaign is nonexistent without a well-planned content strategy. Nowadays, with content of all forms being just about everywhere it can be hard to create content that actually provides your readers with unique value. As Seth Godin says, the content space is surrounded by a screaming horde of noise. A key takeaway here is to always be unique and to create content that’s actually worth talking about. How long does it take for content marketing to show results? A lot of bloggers practice a technique called “blog and pray.” This entails spending countless hours putting together a unique piece of content, hitting the publish button, and then doing nothing but waiting for the traffic to come. With practicing this technique stated above it may take you an eternity to see results from content marketing. But, there is a better way! We have already established that in order to succeed in content marketing you need to create unique and valuable content, but if that’s the only thing you do you will still not be successful. You need to promote, promote, and promote your content some more until your fingers hurt. Sujan Patel talks about using the 80/20 rule when it comes to content promotion which states you should spend around 20% of your time creating content and 80% of your time promoting it. How long does it take for content marketing results take to show up? 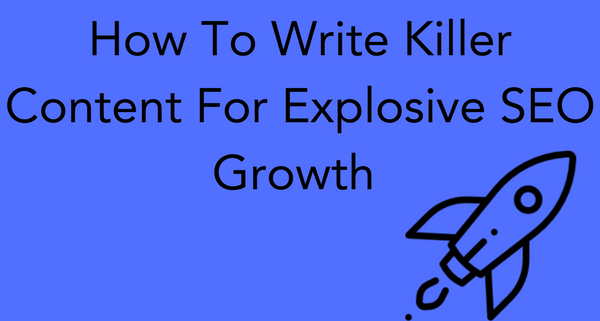 Well if you create valuable content and use the best content promotion tactics in the game you will see results from content marketing within 6 months of starting your blog. This question varies from less than $100 dollar to over $100,000 per month! Quality plays a big factor when you’re looking to hire a content marketer. Depending on your budget and your marketing goals you can go on Freelancer or Upwork and outsource a content writer who will write a full blog post and completely optimize the content for search engines, and you’ll only have to pay around $75 bucks. Like I mentioned earlier there is so much content out in the world right now that the only way to get noticed is to create content that provides unique value. I can guarantee you from experience you will not get this type of valuable content from these freelance sites. If you really want to do content marketing right you should be prepared to spend some more money and hire a top of the line agency like Digiswell. Content Marketing is for any business that sells a product or a service that people could potentially have questions about. Simply put, setting up a blog can be beneficial for pretty much any type of business. What should you look for when hiring a content marketing agency? Look out for the agencies authority as a thought leader in the content space. In addition to case studies and client referrals, sometimes the best example of an agencies work in terms of content marketing can be their own blog. 305 Content Marketing Resources: Tips, Strategies, Examples, Tools & More! Social media marketing is the process of utilizing various social media networks to obtain a certain goal. There are a variety of reasons a business should be on social media, but to be successful you need to know your reason. Are you on social media to drive traffic to your blog or website? Are you on social media to increase branding awareness? Or are you going to use social media for customer service? 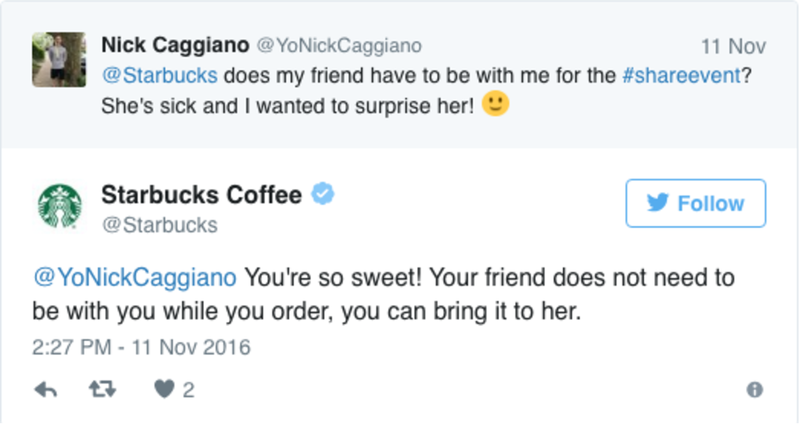 Starbucks, for example, does a really good job with this. Whatever you social media goals are you NEED to make sure they are in-line with your overall marketing goals. How long does it take for Social Media Marketing Results to show up? Before I answer this question it’s first important to understand what social media results actually mean. Some could call results getting 10,000 followers on Instagram. Although having a large following is important, it means nothing if your followers aren’t engaging with your content. This is the reason why marketers strongly recommend never buying followers. This applies to mainly Instagram and Twitter, but a common rule of thumb is to get at least 1% to 3% engagement per the amount of followers you have. In terms of the amount of time, it takes to see any type of results on social media. I would say about 1 month if you are consistently posting content and carving out time each day for engagement. When it comes to great results it could take up to 1 year. A popular entrepreneurial and motivational Instagram account talks about in this Instagram guide how they achieved 500,000 followers in 12 months! Again, when it comes to the cost of social media marketing it can vary greatly, from $100 a month to $10,000 a month. Unlike content marketing, social media marketing can be done by yourself, and you only have to invest about 30 minutes of your time a day. Whatever social channel you want to be active on you need to create a “content bank” for about 1 month of posts ahead of time. Depending on the social channel you’re on the content bank you create will vary, but essentially your content bank is all of the content you will be posting over the next month. Once you have your content bank of blog posts, quotes, quick tips, jokes, videos, pictures, and anything else you might include you want to use a tool like Buffer (the best scheduling tool in the game) to schedule all of your social media posts 1 month in advance. Now that you have your content scheduled and out of the way the only other thing you have to do is start engaging on social media. I am putting together a more thorough guide including actionable tips on how you can easily grow your social media following, but basically, you want to just follow, like, and comment on related content posted by other accounts in your industry. The majority of these accounts will follow you back. After around 3 days of doing this use a tool to find all the accounts you follow but don’t follow you back and unfollow them. You want to have a nice balanced ratio of the people you follow to the amount of followers you have. From here just repeat the follow, like, and comment sequence daily, and you will start to see your following steadily increase. What type of businesses should use Social Media Marketing? Unlike SEO and content marketing social media marketing is a bit more inclusive. When it comes to social media you need to think about your target audience. It’s all about being on the social media networks where your buyer personas “hang out.” I’ll talk more about buyer personas in a later post, but basically, buyer personas are semi-fictional characters based on research and data that state who your target audience is, what they believe in, and what their pain points are. This goes further than just their age demographics you actually need to get inside your target audience’s head. Hubspot has a great article talking about understanding the “psychographics” of your target audience. Demographics play a big part in what social media channels your business should be engaging on. Pew Research Center has a great social media fact sheet that talks about the key demographics that correlate to various social media channels. If you have a business selling wheelchairs to the elderly there is absolutely no point in attempting to succeed on Instagram where the age demographic is 5% for people over the age of 65. What to Look Out For In a Social Media Marketing Agency? When it comes to hiring a social media marketing agency, I would say your best bet, if you have the time, is to not hire a social media marketing agency and do social media marketing on your own. You can then reinvest your social media marketing budget into other areas of digital marketing that are more expensive like content marketing. On the other hand, If you don’t have the time to do social media marketing on your own you should find social media marketing agencies that do well with their own social media. Like I mentioned earlier “doing well” on social isn’t always about how many followers the agency has. I would definitely keep follower count in mind, but primarily be on the lookout for high engagement. At a minimum the agencies social accounts should have around 3% engagement per the amount of followers they have. For example, if the agency had 10k followers on Instagram they should be getting a minimum of 300 likes per photo. Do social media marketing on your own! Of course, if you really want to hire an agency get in touch with us today! Digiswell Marketing is a digital marketing agency that provides search engine optimization, digital marketing, website and logo design for businesses of any size.